This is my entry into the Art Awakens contest. If you dig it, please go here and give it a like! Originally I had wanted to do another Struzan type poster for The Force Awakens, but I noticed that there were already several similar entries and I also wanted to try something a little different. I did a few thumbnail sketches of several ideas I had and this one ended up being my favorite. I did my best to illustrate what the new pilot helmets and their respective cockpits look like in profile based off of whatever reference images I could find on the internet. I also picked up the die-cast versions of the new ships at my local disney store. I took photos of them with my phone to use as reference for the background ships. 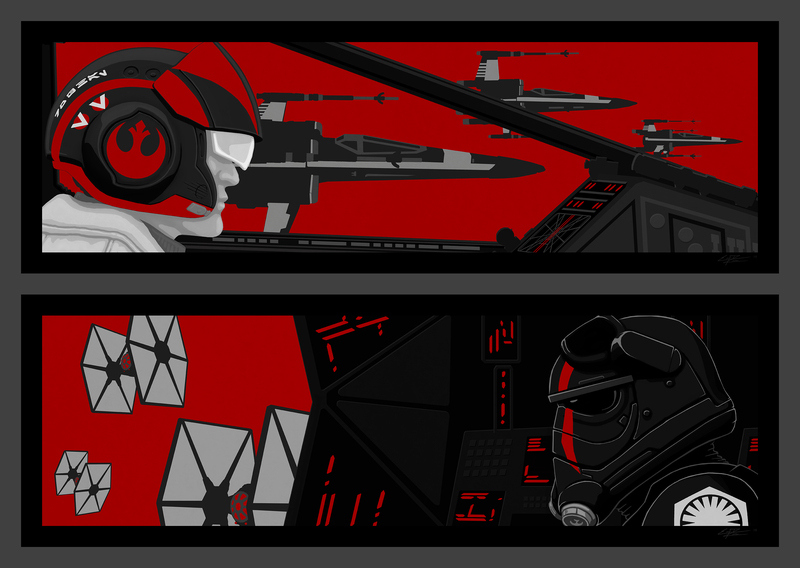 I kind of want to try and get these printed as a two screen-print set. I think they’d look good screen printed in metallic ink. I’ll do some research and see if that’s a possibility for me. Anyway, thanks for reading and don’t forget to like my entry if you deem it worthy! I don’t know that it’ll help at all, but it couldn’t hurt! 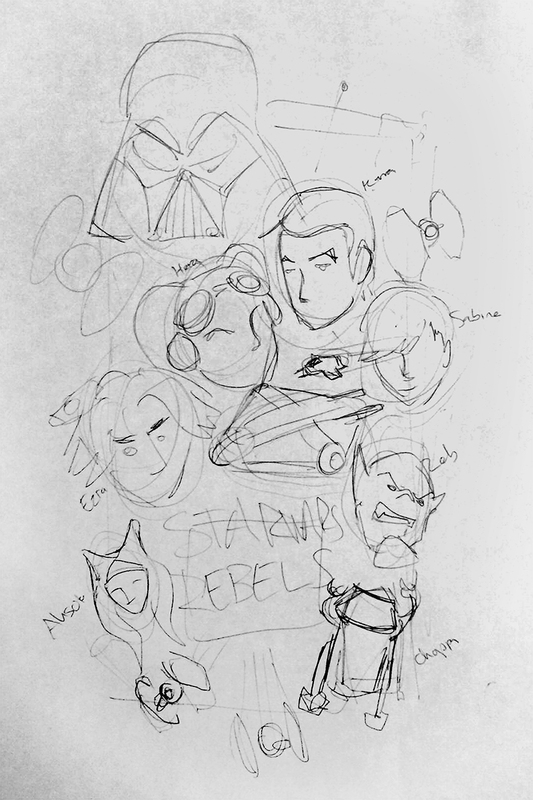 This poster is my entry into the Star Wars Rebels season 2 art contest. 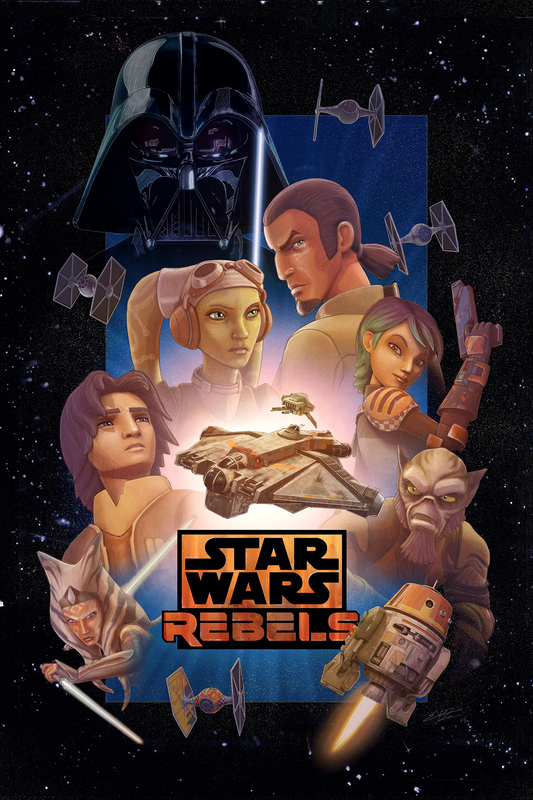 I greatly enjoyed the first season of Rebels and am really looking forward to season two. When I heard that StarWars.com was putting on this contest I decided to try to make a poster that would pay tribute to the great Drew Struzan and the posters he painted for the Star Wars special editions. After gathering some reference images and staring at Struzans work for a while, I started sketching out what I kind of wanted the layout to look like. 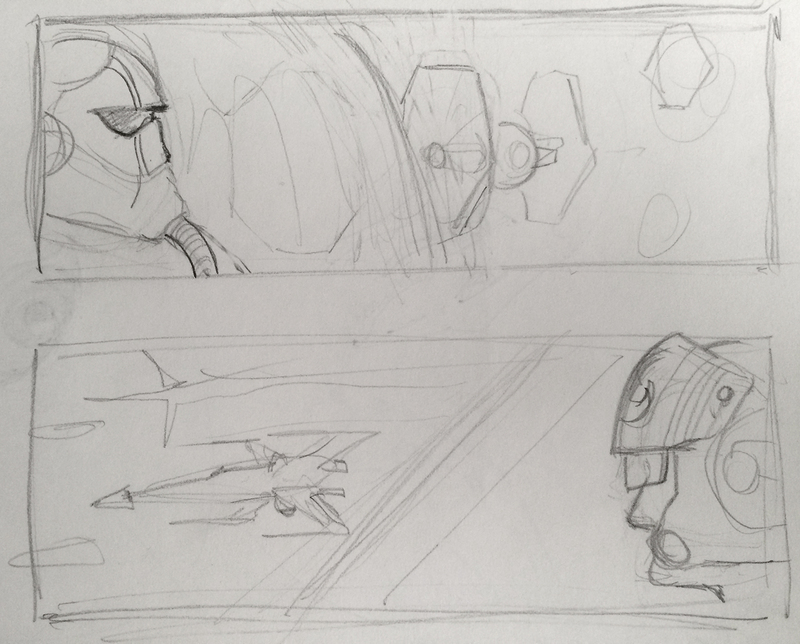 I didn’t stray from this sketch too much with all the final elements ending up roughly in the same place. I then searched for and gathered images of the characters in poses I thought would work well within the composition of the poster. Those images were then tweaked, painted, and combined with others to come up with their final poses. Once everything was laid out, I painted over the whole thing – trying to come up with a blend of Struzans style and the shows designs. In retrospect, I should have added Captain Rex and the two new inquisitors as it seems like those characters will also be important to this upcoming season. Even so, I’m pretty happy with this result. 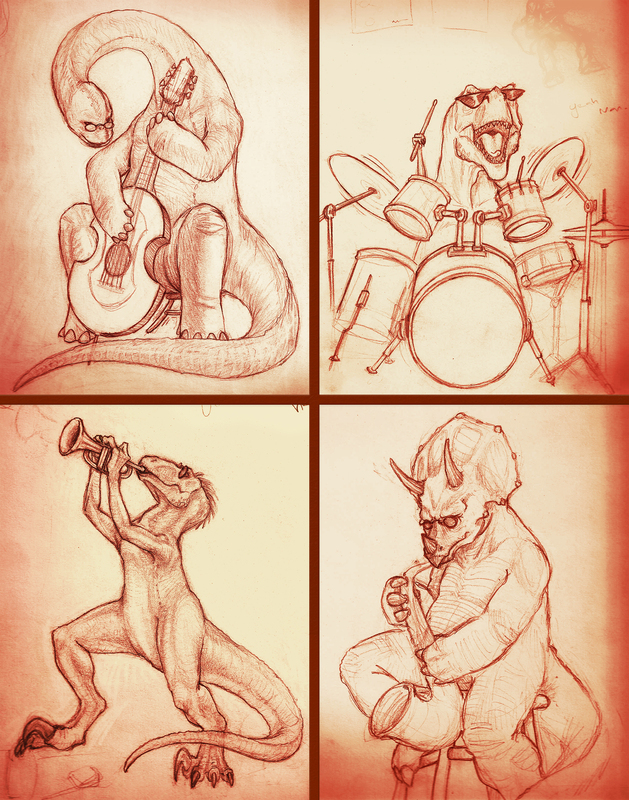 I found this old set of drawings I did of hepcat dinosaurs playing all sorts of melodious music! Because dinosaurs are cool. And jazz is cool. Also, I know that the brachiosaur is the only one actually from the jurassic period.